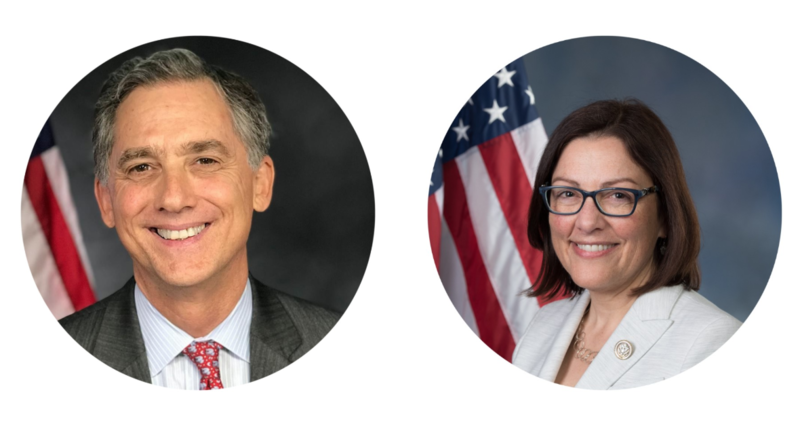 The audio recording of the Congressional briefing titled “The Future of the U.S. Government’s Role in ICANN, Internet Addressing and Internet Governance” is now available for download. The briefing was held in the U.S. Capitol Building on October 1, 2009. Visit the Congressional Internet Caucus Advisory Committee’s podcast page at http://www.netcaucus.org/audio.xml to download the audio MP3 or go to the Agenda page for the event at http://www.netcaucus.org/events/2009/icann/ for more details. You can subscribe to all Congressional Internet Caucus Advisory Committee podcasts in the Apple iTunes Store as well. The briefing featured experts on the relationship between the U.S. and Internet Corporation for Assigned Names and Numbers (ICANN), the non-profit body that manages the Internet’s domain name system, including IP address space allocation. The main topic of discussion was the newly released “Affirmation of Commitments” agreement between ICANN and the U.S. Government. The predecessor to that agreement, the Joint Project Agreement (JPA), would have expired at midnight on September 30, 2009. Our esteemed panel discussed the implications for the new agreement. * John Kneur, Kneur LLC, Former Assistant Secretary for Communications and Information and Administrator of National Telecommunications & Information Administration, U.S. Department of Commerce. Washington, D.C. – The Co-Chairs of the Congressional Internet Caucus have announced Senator John Thune (R-SD) as the newest Co-Chair of the prominent bipartisan and bicameral Member organization, focused on educating Congress about the promise and potential of the Internet. Senator Thune will discuss his technology-focused vision during the opening keynote speech at the inaugural State of the Mobile Net Conference on April 23, in Washington, D.C.
As a Member of the Senate Committee on Commerce, Science, and Transportation, Senator Thune has shown leadership on Capitol Hill by promoting the growth and continued innovation of broadband technologies and the Internet. Thune has continued to promote a regulatory framework that protects the openness and sustained advancement of the Internet. Senator Thune has sponsored legislation to promote the critical advancement of health information technology, better e-government, deployment of rural broadband and protection of youth online. Thune ascends as a Co-Chair of the Congressional Internet Caucus — joining Senator Patrick Leahy (D-VT), Congressman Rick Boucher (D-VA), and Congressman Bob Goodlatte (R-VA) — on the eve of its 13-year anniversary. Thune will join a distinguished list of technology experts and prominent speakers at the State of the Mobile Net Conference. The senator’s conference keynote will follow an introduction by Congressman Bob Goodlatte, Co-Chairman, Congressional Internet Caucus. RSVP: Please visit www.netcaucus.org/conference/2009/sotmn/ Registration is complimentary for credentialed members of the media. The National Telecommunications and Information Administration appointed IEF Executive Director Tim Lordan to the NTIA’s Online Safety and Technology Working Group that was established as part of the “Protecting Children in the 21st Century Act.” In the appointment letter dated April 1, 2009 NTIA Acting Assistant Secretary for Communications and Information Anna Gomez noted “President Obama recognizes the importance of protecting the safety and privacy of our children as they explore the riches of the Web. The President is also committed to helping parents better understand what content their children will see and to ensuring that they have the tools to respond.” Executive Director Lordan enthusiastically accepted the appointment. On Thursday, March 12 members of the GetNetWise Advisory Board were given an advanced tour of the parental controls on Microsoft Windows 7, the next iteration of the Windows operating system. The tour included previews of how the new operating system would provide parents with choices for who their children contact and what content they view, among other things. Members of the GetNetWise Advisory Board routinely get together to share ideas about youth online safety and provide feedback to industry on how better to protect youth online. Washington, DC – We were thrilled to hear on our evening commute that local radio personality Chilli Amar for Mix 107.3 lists GetNetWise.org as one of her favorite sites for “all you need to know about keeping the net safe.” Chilli also posted a blog about it on her blog. You can register for this widely-attended conference and view the agenda at http://www.netcaucus.org/conference/2009/. Attendance is complimentary for media and the conference also includes equally important panels on every key technology issue before the 111th Congress. The State of the Net Conference is the largest information technology policy conference in the United States, attracting more than 500 attendees in 2008. As a leader in technology policy, this year the conference will address policy issues that will challenge the new Administration and the new Congress. The 2009 State of the Net Conference will follow the 12th Annual Kickoff Reception & Technology Exhibition on the evening of January 13 from 5 to 7 pm in a Senate Office Building. Congressional Internet Caucus Advisory Committee is a diverse group of public interest, non-profit and industry groups working to educate the Congress and the public about important Internet-related policy issues. The group seeks to promote the growth and advancement of the Internet, provide a bicameral, bipartisan forum for Internet concerns to be raised, while promoting the education of internet-related issues. More information can be found at http://www.netcaucus.org .